Kendall Jenner and her pals have given themselves the “lame” title of the Super Natural Friend Group. The 20-year-old beauty is close to fellow models Gigi Hadid, Cara Delevingne and Hailey Baldwin and they are all very proud of one another’s “cool individual lives”. Kendall is very loyal to her friends and family – and makes no secret of her feelings when she makes an enemy. And one thing the ‘Keeping Up With the Kardashians’ star finds particularly irritating is when people use their mobile phones when they’re supposed to be spending quality time together. She told Allure magazine: “I find it offensive if you’re with someone at a dinner and they’re just sitting on their phone the whole time. 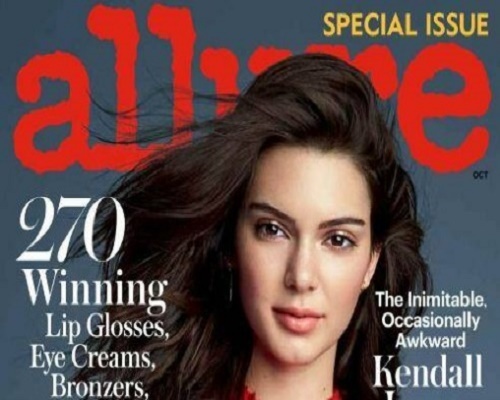 It was recently claimed Kendall has rekindled her romance with Harry Styles, having previously been romantically linked with Jordan Clarkson and A$AP Rocky, but she isn’t interested in speaking about her dating life. She said: “I’m so young. Whoever I’m dating, or going to be dating, is young, too.